Mavis Beacon Teaches Typing is acomprehensive tying training solution. It is a great resource for anyone who is interested in building essential keyboarding skills or improving overall typing efficiency. 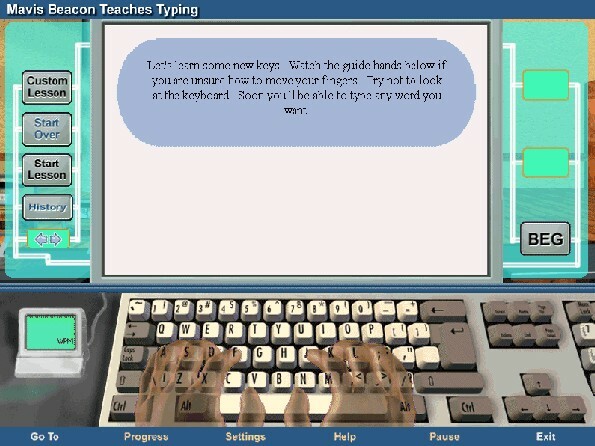 Mavis Beacon provides a valuable learning experience that combines individualized lessons, practice sessions and games to help you achieve your typing goals. students just starting out to professionals looking to squeeze a few more emails into the work day. Leverage Mavis Beacon's renowned Adaptive Response Technology to run through the core training curriculum and maximize your improvements in the shortest time possible. MavisBeacon will automatically place you in the lessons based on your current skill level and adjust your path as you progress through the training program. 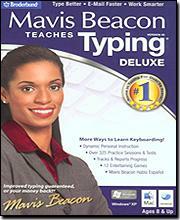 Mavis Beacon lets you choose what you use to practiceyour typing. Select from hundreds of articles and passages covering a wide variety of topics and subjects including literary classics, history, autobiographies and poetry. With a total of 12 typing gamesdesigned to improve your speed, accuracy and/or rhythm, the Games Area is sure to be a favorite destination for any user. Mavis Beacon tracks your performance over time and provides a series ofreports so that you can understand and review your progress. While the core curriculum within Mavis Beacon remains as effective as ever, we've introduced a Curriculum Map to make it easier for users to see where they are in the overall training program. 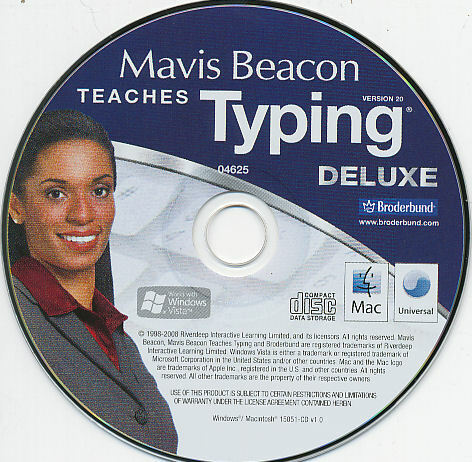 Mavis Beacon Teaches Typing 20 Deluxe features 12 re-designed games. Each game provides a fun and motivating way to practice and improve typing skills. With over 325 different sessions, passages and tests, there is something for everyone in the Practice Area. 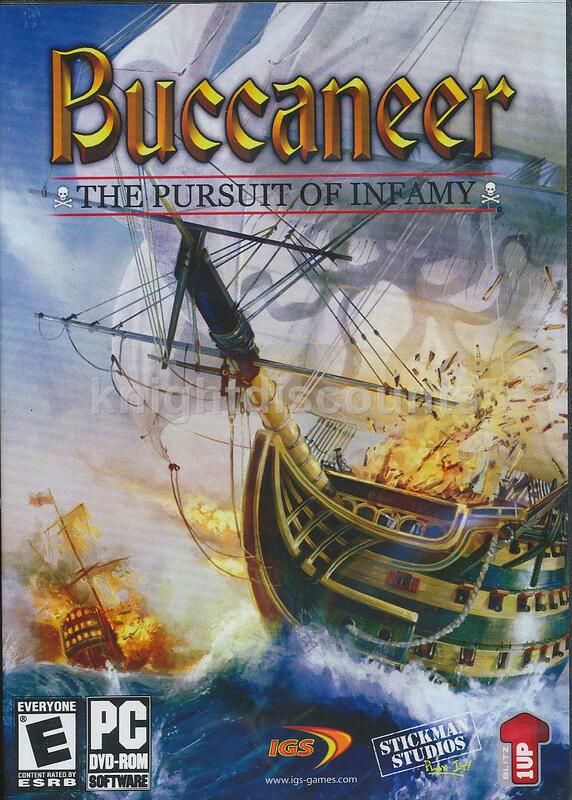 Content includes passages and sessions from literary classics, historical autobiographies, poetry and more! The Summary report gives a snapshot of the users' cumulative performance. Keyboard Proficiencies show detailed performance byindividual key, allowing users to see on which keys they need improvement. The Curriculum Map provides users with a view of where they are within the Mavis Beacon Training Program. Progress OverTime charts users' performance on milestone lessons over an extended period, giving users a view of how much they have improved.